Ryûkô was the last place I hit on my week-or-so long ramen binge, during which I was eating ramen about once a day. It was a chilly but clear night, and after being holed up at home working all day, I wanted to get out of the house and cruise around on my bike for a while. I had planned to try "Heaven's Kitchen 玲音 (Reon)," a tantanmen joint on the far edge of the ramen zone west of Baba. However, when I pulled up, the menu sign was out front but everything was shuttered - it looks like Sundays are their fixed day off. I still wanted tantanmen, so I decided to head north to the western end of Waseda-dori near the Otakibashi intersection where Baba becomes Ochiai. After making a wrong turn (and discovering three more previously unknown ramen shops - dammit! ), I screeched up in front of Ryûkô Hanten Tantanmenbô (Tall Dragon Restaurant and Tantan Noodle Kitchen), hungry after my longer than planned ride. The sign out front says "We have non-spicy dishes too!" in rather large letters, presumably trying to draw in the (no doubt substantial) potential customer base who think of tantanmen as a dish too spicy to eat. Ryûkô isn't really a ramen shop so much as it is a Chinese restaurant. All the walls are decorated in red and gold, the TV was turned to CCTV mainland news, and there were the telltale bottles of baijiu (Chinese grain liquor) lined up on the wall. In addition to 4 or 5 styles of tantanmen (regular, black sesame, extra meat, extra veggie, and something called "Taiwan ramen"), Ryûkô has a full (and pretty tasty looking) menu of both standard Chinese dishes and "Japanese-Chinese dishes" written out as well as taped up on the wall with full-color photos. There was also a list of specials written in black marker on a dry-erase board in the corner, which is always a good sign. There was only one older Chinese woman running the place, and she took my order in heavily accented Japanese. 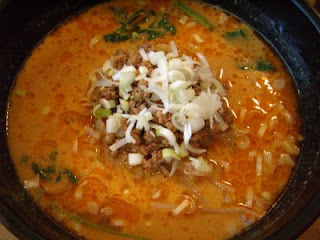 When I told her no meat on the tantanmen, she replied, "But it's so much more delicious with the meat on it!" She was very friendly and gave me a free dish of vinegared jellyfish and cucumber salad to snack on while I drank my (draft!) beer and waited for the noodles. When the noodles arrived, the feeling that I was in China rather than Japan only got deeper. I can't put my finger on exactly what, but there was something in the taste of the noodles that really tasted "mainland China" to me. Maybe the kind of oil or vinegar? Maybe the hint of numbing peppers I thought I tasted? Ryûkô's noodles were old-school classic thick, yellow, wavy chûka-men, and the soup was an almost shocking orange. I'm not really sure what made it that color, but I also didn't bother thinking that hard about it. The broth was very flavorful, but much thinner than your average tantanmen soup, which tends to be on the kotteri side, at least in Japan. The toppings were equally Chinese - raw chopped white onion and Chinese greens, with just a few bean sprouts. Ryûkô's noodles weren't really ramen, but they weren't really dandanmian either, at least not any varietal thereof that I'm familiar with. An added bonus was the extremely delicious lajiang / râyû chili oil provided - Ryûkô's was sweet, spicy, flavorful, and densely packed with gooey hunks of peppers, a refreshing change from the thin, lame, red oil that passes for lajiang at most places in Japan. It seems like this restaurant is a branch of a main store in Kasai, near Chiba in eastern Tokyo, which I think is an area with a large concentration of Chinese immigrants. 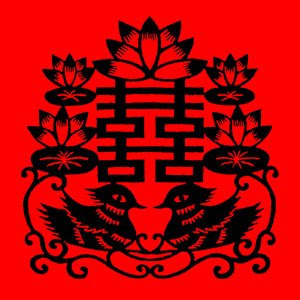 I talked with the cook a bit after finishing up (using a mix of my broken Chinese and her broken Japanese), and it turns out that she's from Dalian (Dairen in Japanese, Port Arthur in English), a major seaport in Liaoning Province, in Manchuria. 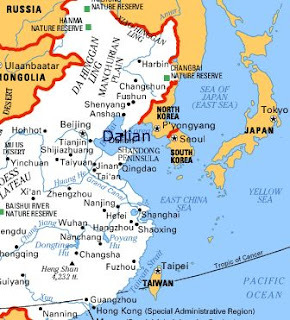 Dalian was an important city in colonial history, contested by the British, Japanese, and Russians, and the location of a decisive battle in the Russo-Japanese war. It was a hybrid city where Russia, China, and the Japanese empire came together, and was also an important site for the development of Japanese modernist poetry, for what it's worth. So, given this convoluted and layered history, maybe it makes sense that Ryûkô's noodles were blended and fusion-y as well. I liked the food and the vibe at Ryûkô a lot, and I'll probably come back here - the tantanmen can't beat the Sichuan style noodles at Wantsûchi, but it's good to know there's a place close by to get Chinese Chinese food and not just pork served in sweet brown goop.